The MIKE briefs belongs to the ADAMO fashion collection. The pants are comfortable to wear and have a classic design. You can order until size 20. 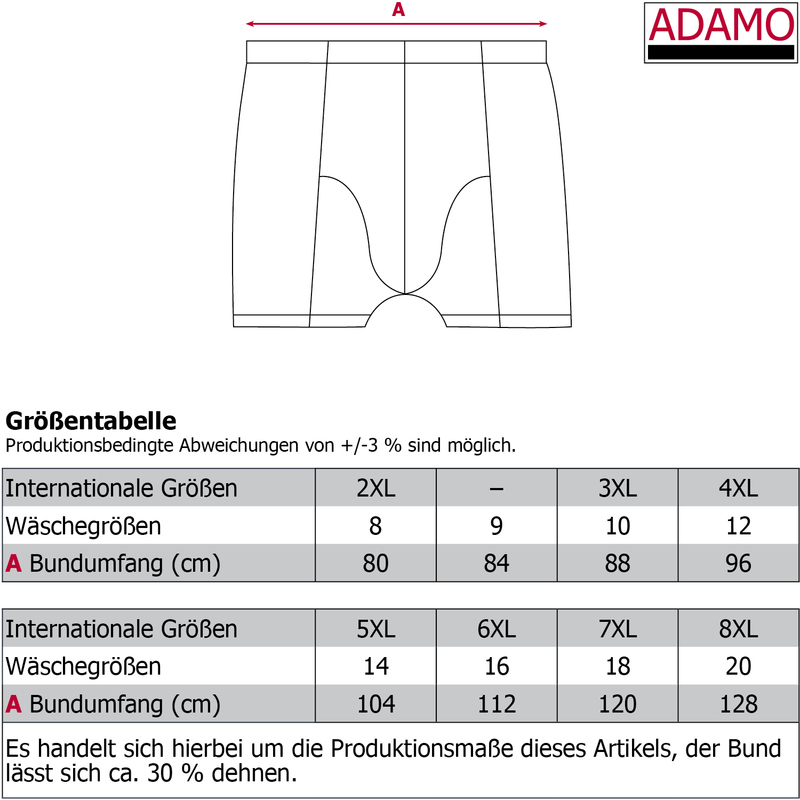 ADAMO is your partner if you need oversizes. The material is easy to care and consists of 95% mircomodal and 5% elastane. You get a warranty of two years for material, fitting and processing. The under trouseres are produced by Eco-Tex Standard 100.